Lemon+cinnamon+coffee= one interesting combination. 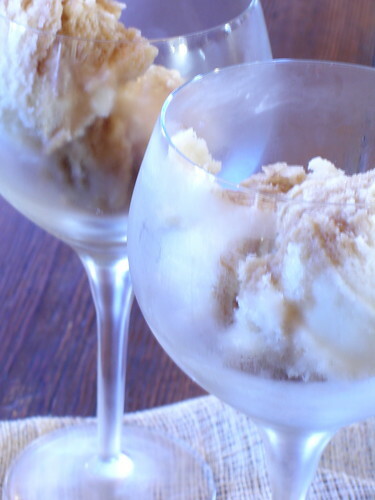 This concoction combines a quietly flavored sherbet with the robust taste of coffee. Unlike the other sherbets that I had made, this one was not incredibly unfortunate tasting. The texture of this sherbet was much creamier than that of the previous ones. I'm not sure how I feel about the flavor pairings, but I do like the idea of experimenting with flavor profiles. I can say, though, that I didn't really care for the hot espresso with the cool, smooth sherbet. Oftentimes, opposites attract, but in this case, the sherbet would have been better served to avoid the coffee all together. Despite the fact that this has not been my most loved recipe from Room for Dessert, it was still infinitely better than the panforte, but really, what wouldn't be? The sherbet had a nice clean flavor that made you really stop and breathe for a minute. It's not a wild, exciting dessert, but it did have a sort of loveliness that I really appreciate from time to time. Warm milk and sugar in a saucepan. 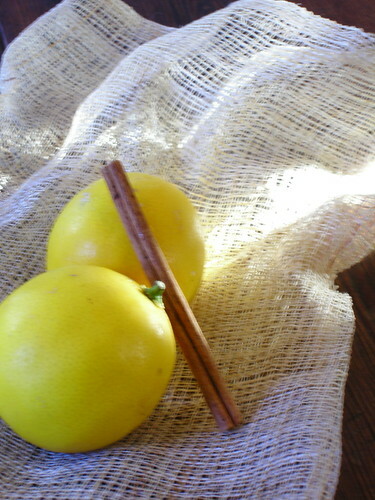 Add lemon zest and cinnamon. Remove from heat, cover, and steep for 2 hours. Strain mixture and discard zest and cinnamon. Chill mixture thoroughly and freeze in an ice cream maker. Dissolve sugar in warm espresso. 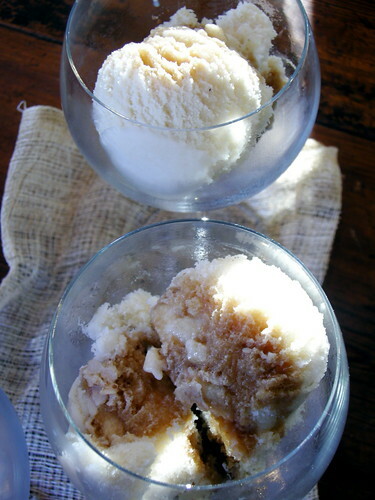 Scoop two or three mounds of lemon-cinnamon sherbet into stemmed glasses or small, deep bowls. Pour 2 tablespoons sweetened espresso over each serving. sounds not so appetizing, but if you made it, i bet it was!